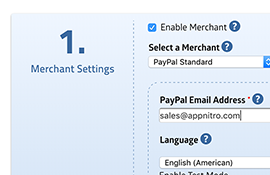 Accept payments, using a few clicks. 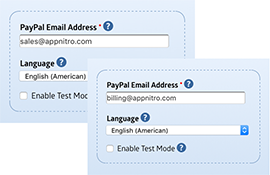 Stripe, PayPal, Authorize.net, Braintree, and check/cash supported. 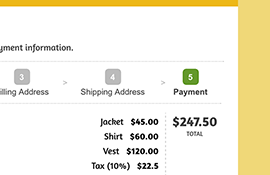 Display total payment instantly on your form upon item selections. 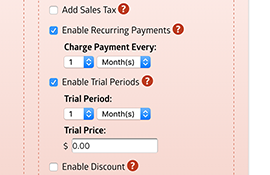 Easily enable recurring payments and define payment periods. 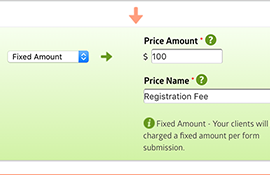 Charge a fixed amount per submission or a variable amount based on user selection. 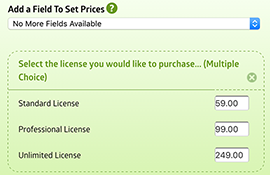 Assign different prices for Drop Down, Multiple Choice or Checkboxes options. Collect billing/shipping address in addition to credit card data. 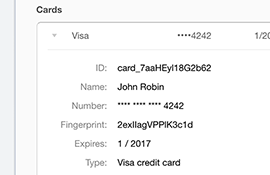 MachForm doesn’t store any credit card data in your database. 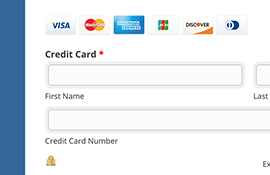 Use different PayPal account for each of your forms. 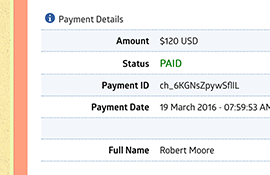 View the detail of each payment directly inside MachForm panel. 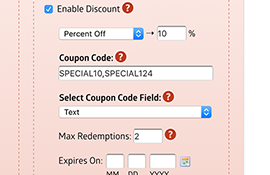 Allow your client to enter a coupon code in your form to receive a discount. 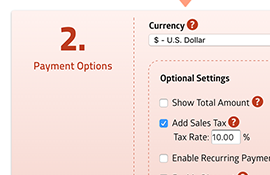 Automatically calculate sales tax upon checkout, using the rate you define. 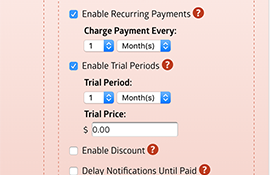 Offers free or paid trial on recurring payments. 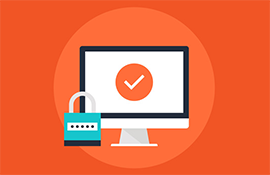 Securely store credit card data into Stripe/Authorize.net for future charges. Professional-grade receipts. 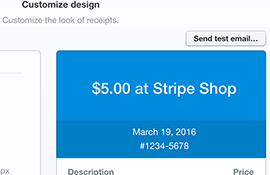 Use Stripe built-in email receipt templates. 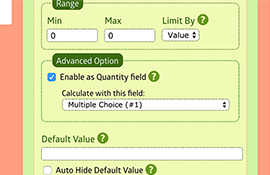 Enable price calculation involving custom quantity field.